Today’s lawyers are more mobile, more automated and more data driven than ever before. 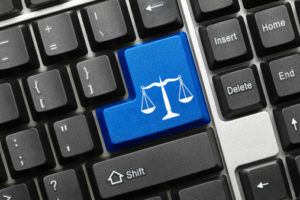 Below are five things to be prepared for in legal technology in the new year. E-Mail Management – as society relies more and more on e-mail and electronic communications, the more we have a need to keep e-mail, documents, PDF’s, images, sound files, and the like well organized, indexed, and easily accessible. The days of manual folder creation and maintenance are waning. E-Mail and Document Management software encompasses communication management at a matter level. If you’re still searching for files and/or yelling across the office for someone to find paper files, it’s time to simply stop that. Security and Encryption – if you haven’t begun to internally investigate your own firm’s security (i.e. can an intruder get to your data), the time is now. More and more corporate clients such as banks and insurance companies are beginning to ask law firms about their internal procedures, protocols and equipment in place to ensure that the client’s communications and data are properly protected. This duty now extends to electronic communications (email and attachments thereto) as well. If this issue hasn’t been on your mind of late, it’s time to start taking reasonable steps to protect your data. Mostly Cloudy – The term “the cloud” refers, simply, to off-site data storage. Basically, you either rent a software platform (think Actionstep, Cosmolex, Clio, Rocket-Matter) and/or you set up a server that is maintained outside the four walls of your office in a data storage facility. If your in-office servers are more than 3 years old, NOW is the time to investigate cloud technology. The cloud is simple, fast, & affordable. Cloud technology also helps with budgeting for technology because it is generally offered on a subscription (monthly-fee) basis making technology budgets more predictable. “The cloud” is here to stay and its strength in both storage power and security improves daily. Budgeting and Finance – This year, unlike in years past, more and more of your colleagues and competitors are analyzing business data and adjusting their business decisions according to what “the numbers” are telling them. Your competitors are creating business budgets, reviewing data, and changing position to be leaner, meaner, more agile, and more competitive. This is a “don’t get left behind moment.” Don’t put your firm at risk because you cannot keep up with their new lean, mean, efficient law practice. Mobility – Just a few years ago, most lawyers worked within the same four walls of an office. Today, law schools are pumping out thousands of graduates who may never work that way. New grads are young, hungry, agile and most importantly, not tied down to a physical office. Even in traditional firms, you have inquiries about (a) working from home, (b) working while traveling, and (c) working while on maternity or medical leave. Now is the time all firms should reasonably accommodate partners, associates, paralegals and staff to work from anywhere…without technology challenges getting in their way. Training, customization and more training is the BEST money you can spend to ensure that everyone in your firm is using the technology properly and securely. Why pay good money for a new system, only to find out that no one in your firm really understands it, or worse yet, many do everything they can to by-pass it due to a lack of knowledge or understanding. Steven J. Best is the managing partner of Affinity Consulting Group’s Atlanta office. Steve is an attorney as well as a certified law office software consultant. With an educational background in law, accounting and economics, Steve consults with law firms throughout the United States on law office software as well as sophisticated practice management issues. He can be reached at sbest@affinityconsulting.com.